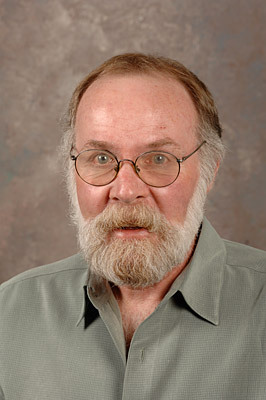 10:17 p.m., April 19, 2012--Fritz Szabo, 64, an associate professor of theatre at the University, died March 8 in Newark. "Fritz was an extraordinary designer and colleague," said William L. Browning, professor of theatre at UD. "Oddly enough our favorite topic was sports, as he and I frequently traded stories about current events in college level athletics and about UD athletics in particular. I felt his absence keenly during the most recent 'March Madness.' Some of Fritz's more memorable design credits include Henry V at the Delaware Theatre Company, the REP production of Top Dog/ Underdog, and the PTTP productions of Rosencranz and Guildenstern Are Dead, St. Joan, Candida, Doctor's Dilemma and Adrian Hall's original two evening production of All the King's Men." Prof. Szabo earned his bachelor's degree in directing from Emerson College and an M.F.A in design from Syracuse University. According to his family, he was "very fortunate he was able to do what he loved to do every day, teach and create beauty through his many artistic abilities." Part of UD's Professional Theatre Training Program technical production faculty for the last 11 years, Prof. Szabo previously taught and designed at the Boston Conservatory, Colgate, Syracuse, Iowa State, Elon, Southern Illinois and Duke universities, the universities of North Carolina at Greensboro and Northern Iowa and Le Moyne College. His design credits include Trinity Repertory Company, Freedom Theatre, Delaware Theatre Company, the Kennedy Center, Glimmerglass Opera, the North Carolina and Pennsylvania Shakespeare Festivals and the Nashville Opera. Prof. Szabo is survived by his wife, Linda Sabo; children, Martin Joshua Sabo and Rachel Sabo Branson and her husband, Ned Branson III; grandchildren, Garrett Lee Branson and Abigail Rose Branson, and other family members. Memorial contributions may be made to Susan G. Komen for the Cure, Broadway Cares: Equity Fights AIDS or the American Lung Association.